Border crossing is a private company which helps applicants to obtain or renew their border crossing passes. We can help you obtain or renew your NEXUS, SENTRI, Global Entry and FAST pass. We are licensed to process personal data and we are well familiar with the details of the border crossing cards application process. Our goal is to provide a useful and timely service. Our agents will check your border crossing card application for mistakes and inconsistencies with CBP’s requirements. 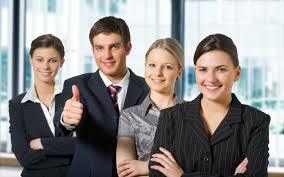 This way you will avoid denials caused by outdated or inaccurate information. Once you are conditionally approved by CBP, we can assist in scheduling or rescheduling your interview at the nearest enrollment center for free. We have vast experience in processing border crossing cards applications and if it is your first time to deal with the border authorities you will probably benefit the most from our service. Border crossing charges a fee for the services we provide which is separate from the government fee. In case you need a Global Entry pass ASAP or you are traveling soon, we would advise you to choose the express service. In this case we will process your application with priority to regular applications. Please keep in mind that we are not part of the government or associated with them in any way. You can apply with the government directly and avoid paying our fee. There is a link on each of our pages that will take you directly to CBP’s page. Should you decide to use us, we will do our best to facilitate the process of obtaining your border crossing card. We will provide timely feedback, help you deal with any issues that arise during the application process.